Track 1: 100 Club, London 13 June 2009; Track 2: The Hawth Theatre, Crawley 3 September 2009; Track 3: BBC South East C.Watts Int. 3 September 2009; Tracks 4-6: Divadlo Hibernia, Prague 10 January 2010; Tracks 7,8: Lehartheater, Bad Ischl 15 January 2010; Track 9: Orf TV 2010; Track 10: Copenhagen 5 August 2007; Track 11: Late Night with Conan O Brien 14 October 93; Track 12: Olympic St. London March-April 1993; Track 13: ZDF 27 March 2006; Track 14: New York 12 October 1993. 1. At 100 Club, 2. Boogie #1, 3. Interview, 4. Boogie #2-1 on cover, 5. Charlie's. 6. Let It Rock, 7. La Vie En Rose, 8. Boogie #3, 9. C.Watts Interview, 10. Charlie & Ron Leave Copenhagen, 11. Time After Time, 12. My Ship, 13. ZDF Interview (ZNF on cover), 14. On NBC Later. 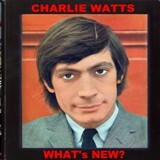 Charlie Watts has undoubtedly been the most active Stone lately, touring with the ABC &D of Boogie, a fun ensemble that includes long tome friend bass player Dave Green and veteran piano players Axel Zwingenberger and Ben Waters. This compilation presents brief excerpts from private videos together with some news reels featuring Charlie s activity from 1993 through 2010 outside his main band. We get also the rare live song played at Late Night with Conan O Brian and a weird promo video that just shows the cd cover of Warm & Tender (which shows Charlie's daughter Serafina on cover) while "My Ship" is played: do not believe this being the official promo, rather an amateurish version of it. This DVD ends with a long (21 minutes), candid interview from Matt Lauer NBC Later program from October 93 in which Charlie talks about his life, jazz love and recent abandon from Bill Wyman, we also can see the real footage from "My Ship" video in great quality: this interview alone is worth the whole compilation.